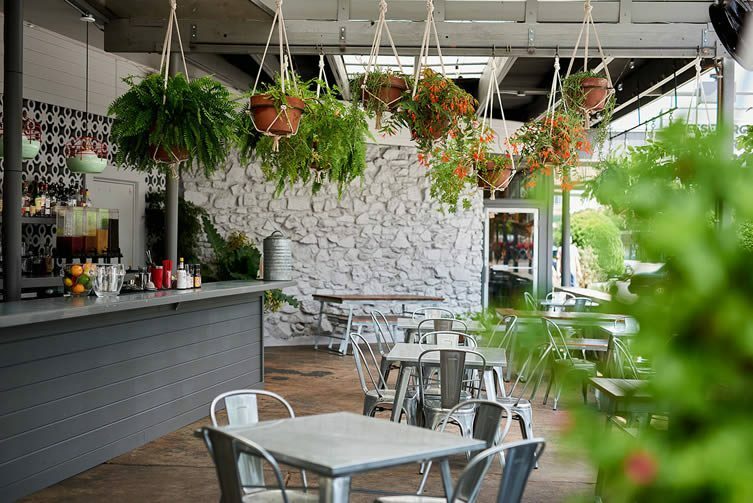 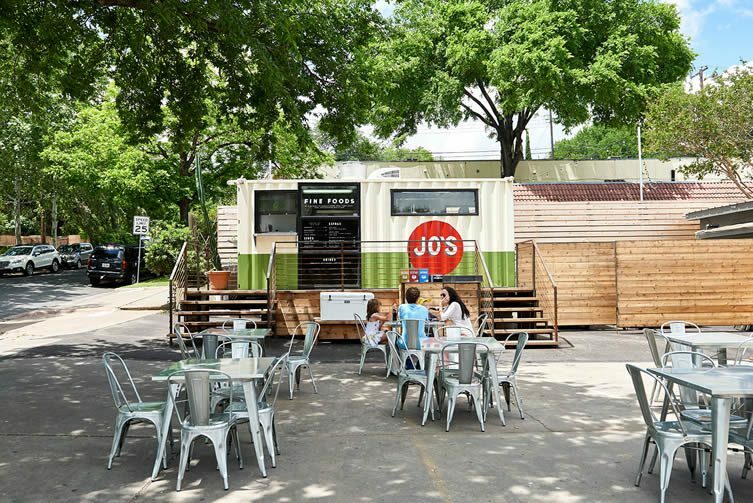 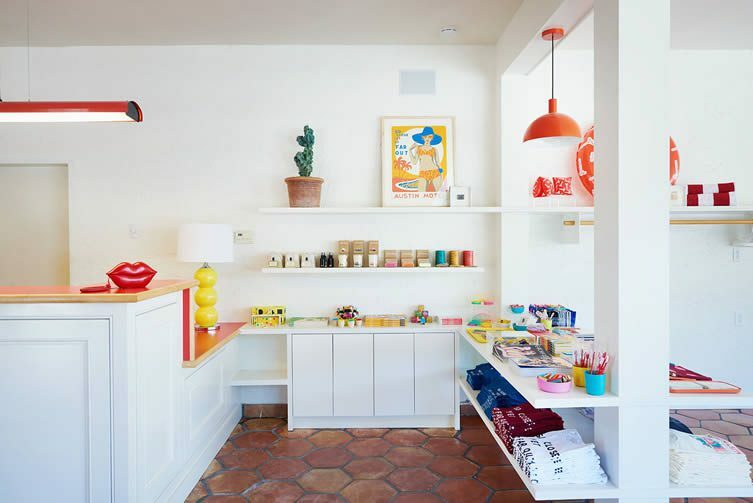 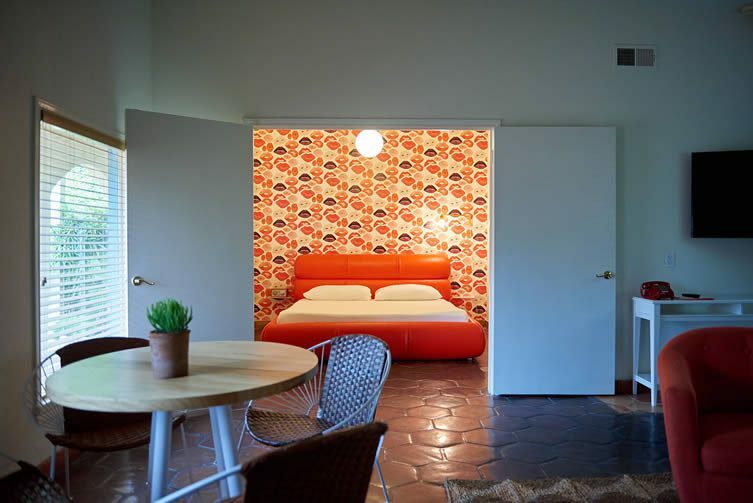 Hotelier and creator of creativity-consumed hospitality group Bunkhouse, Liz Lambert, transforms the true Texan gem Austin Motel into a design lovers’ paradise. 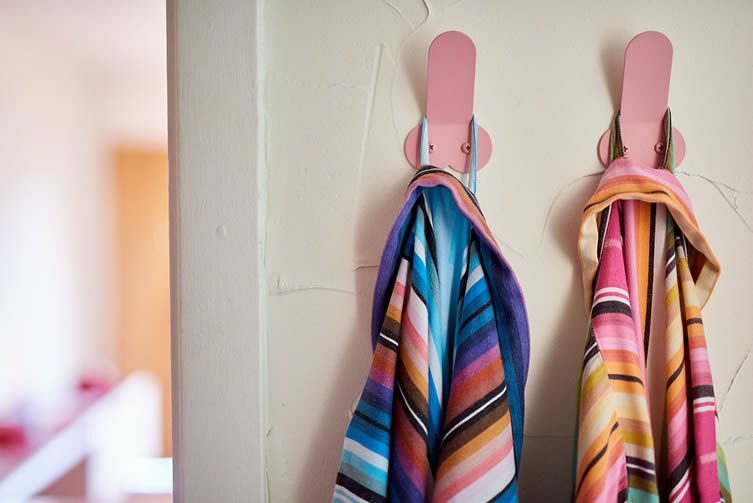 Fans of retro Americana weep onto their plaid shirts. 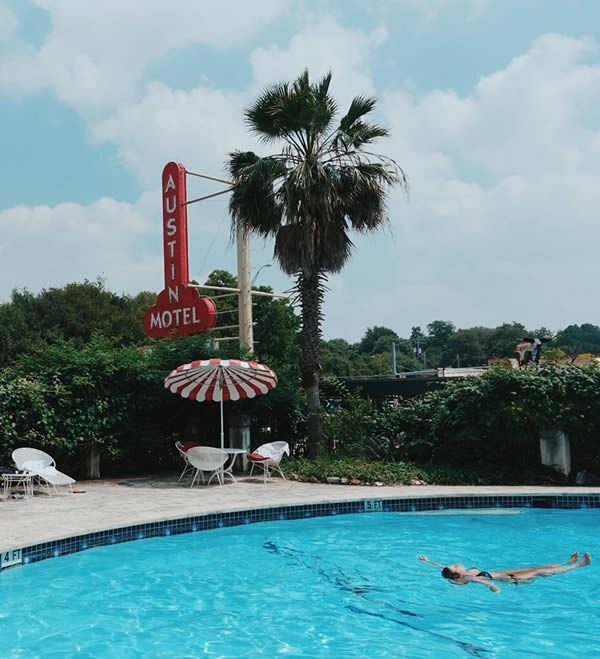 Having weaved a kind of cult road movie narrative into properties like Hotel San José and back-to-basics hippy retreat El Cosmico, Lambert turned her attention to the characterful Austin Motel. 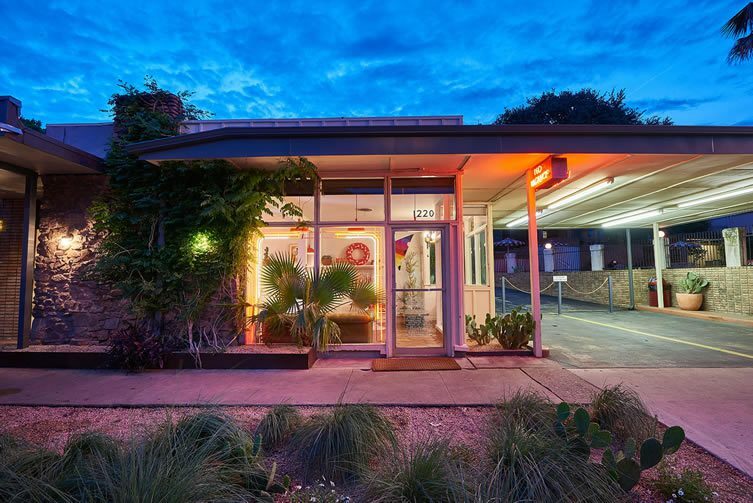 Sitting in the heart of the famed South Congress strip, amidst a slew of restaurants, clubs, and shops, the motel (in operation since 1938) is a beloved part of the city’s heritage; something Lambert acknowledged, retaining its iconic neon signage, whilst casting her keen eye for detail on the ‘sort-of’ update. 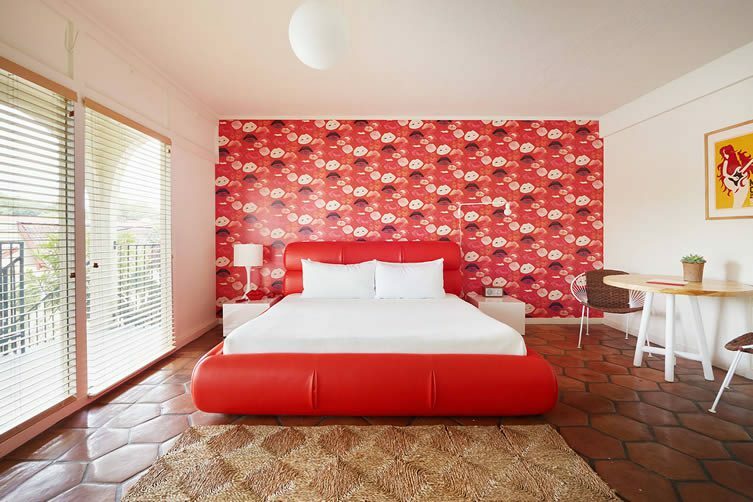 An update that looks back as much as it does forward, Bunkhouse worked with local vendors and creative minds on the 41-room property — designing and creating bespoke furniture, and conceiving interesting amenities and cuisine. 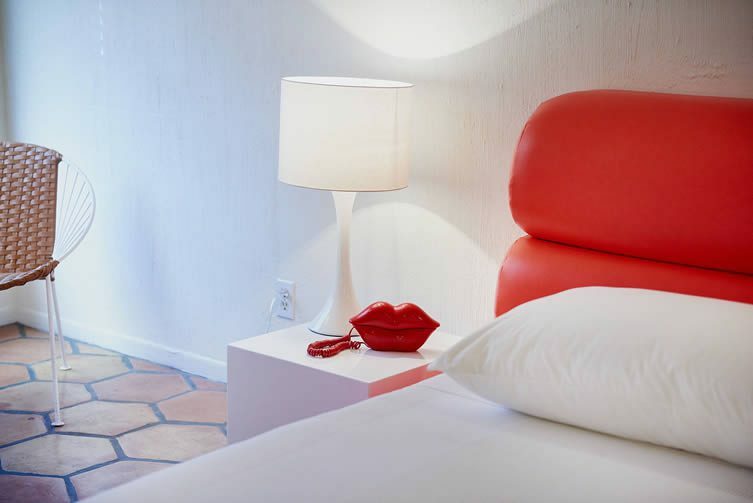 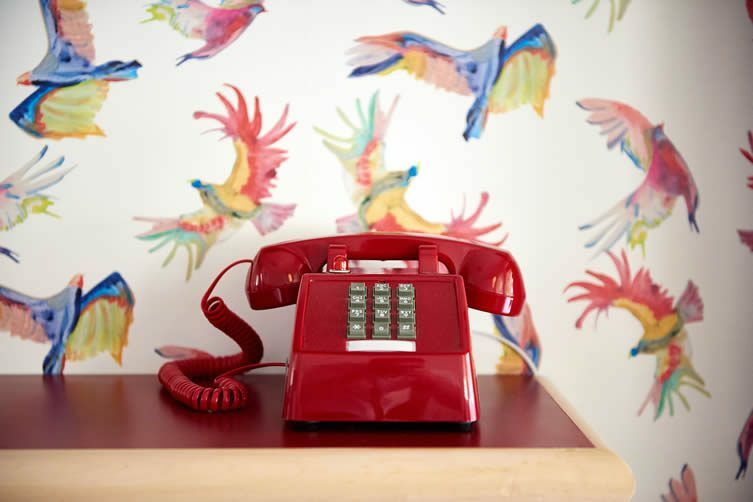 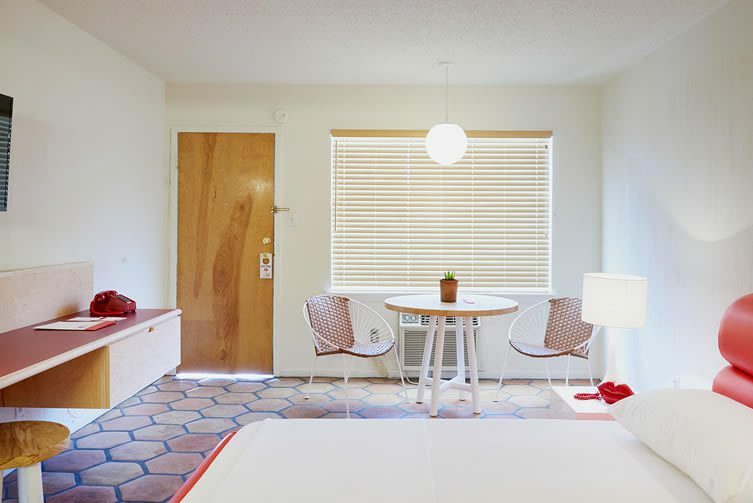 Rooms are quirky and colourful, and ooze the most seductive of American aesthetics — boasting vinyl tufted beds, classic push-button phones and vintage silkscreened music posters. 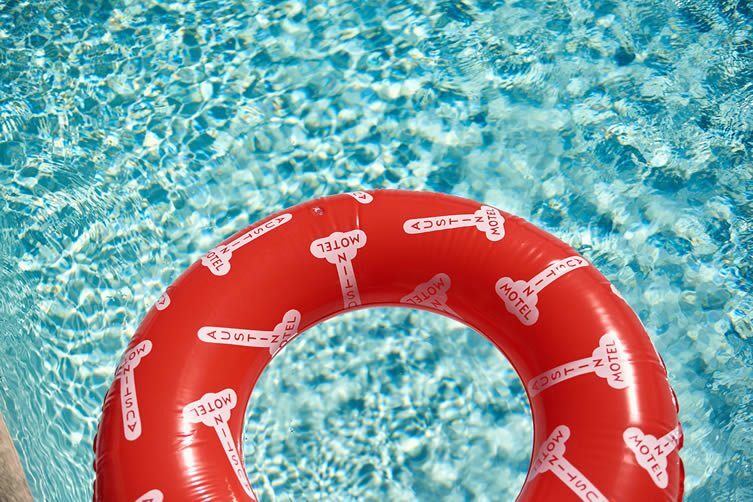 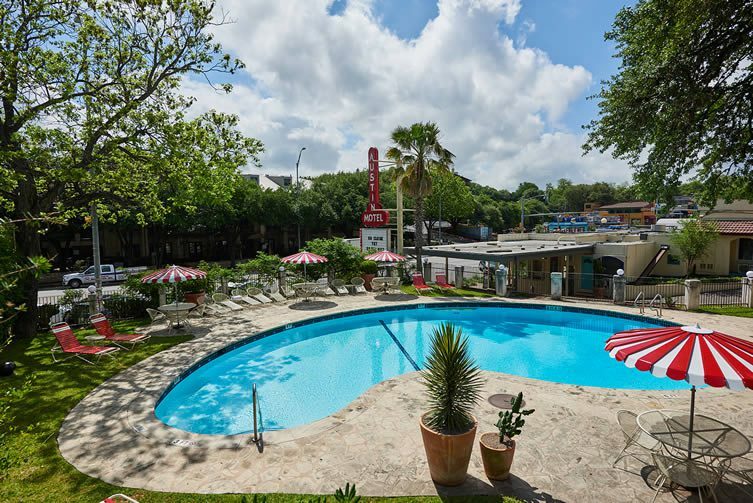 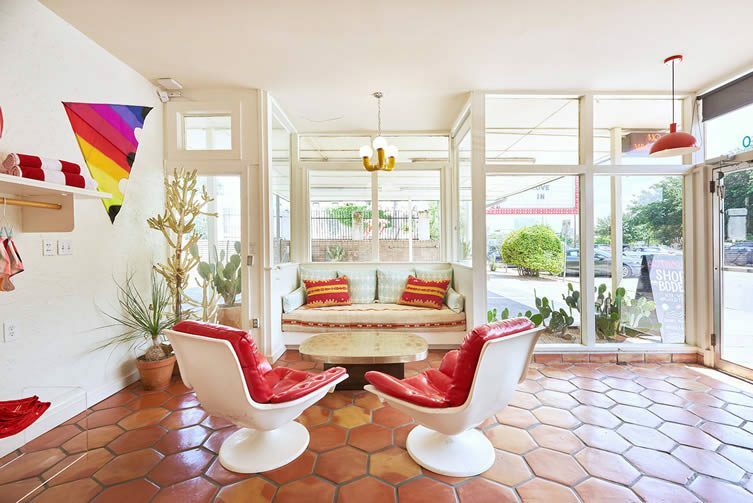 Austin Motel’s revered kidney-shaped pool and lounge area is undoubtedly its centre-piece, a place to let it all hang out with a hip patio bar featuring reproduced midcentury chairs, tables and lounges, set under classic red and white umbrellas. 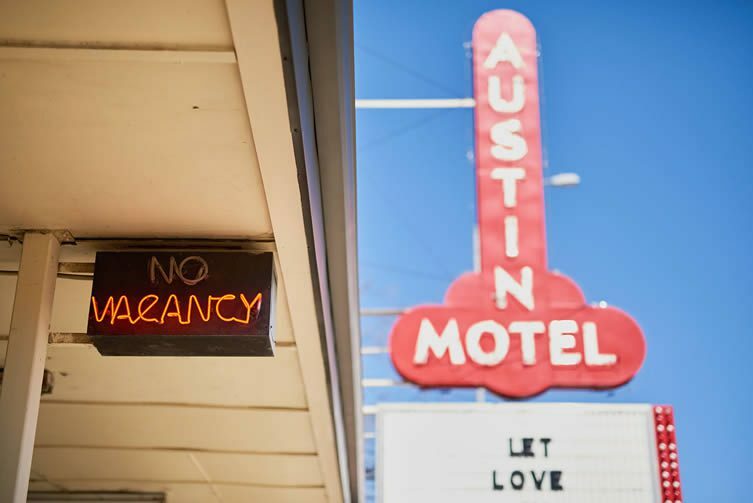 The fun continues throughout, and Austin Motel’s retail store stocks tongue-in-cheek items for kitsch-conscious travellers: hotel memorabilia, inflatables, and decorative objects — each and every item thoughtfully curated to offer a genuine memento of the authentic Austin Motel experience.